Now off the beaten track and privately owned, Shakespeare had a tenuous beginning as Mexican Springs in the 1850s as a stop on the Butterfield Overland Stage line. In 1870, prospectors discovered samples of very rich silver ore in the surrounding hills and they went hunting for financing to develop their new mines. Some of them interested a group of financiers connected with William Ralston, President of the Bank of California. A company was formed and the town was named in Ralston&apos;s honor. The town grew rapidly and newspapers as far away as San Diego carried stories about the promising new camp. The population boomed to 3000 people with independent miners flocking in to try to get a piece of the action. The company had some hired fighting men on their payroll to keep these independent miners off. The rich silver mined out very rapidly but then the rumor began to circulate that diamonds had been discovered on Lee&apos;s Peak west of town. The Hired Fighting men stayed on the payroll, the stages kept running, and the town boomed until sometime in 1872 when the diamond swindle was revealed as a hoax all over the country. Most people left town for fear of being implicated in the crooked work and the town almost emptied of people. In 1879 Colonel William G. Boyle got hold of most of the good claims and renamed the town Shakespeare to eliminate memories of the earlier swindles. With financing coming from St. Louis this time he started the Shakespeare Gold and Silver Mining and Milling Company and the town enjoyed a second boom. The railroad missed Shakespeare by about 3 miles and the beginning of the new railroad town of Lordsburg was the death knell for Shakespeare. The depression of 1893 caused the mines to close and most people moved away to find jobs elsewhere. 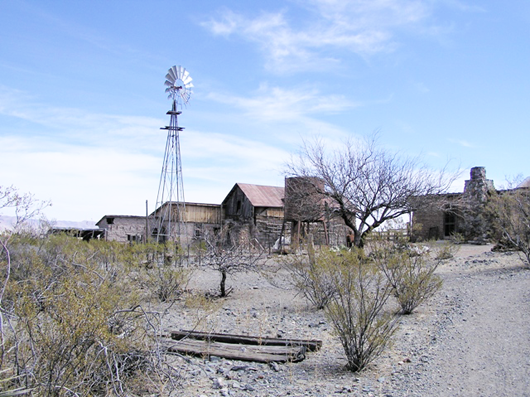 In 1935 Frank and Rita Hill purchased the town and buildings for a ranch. Shakespeare was declared a National Historic Site in 1970. 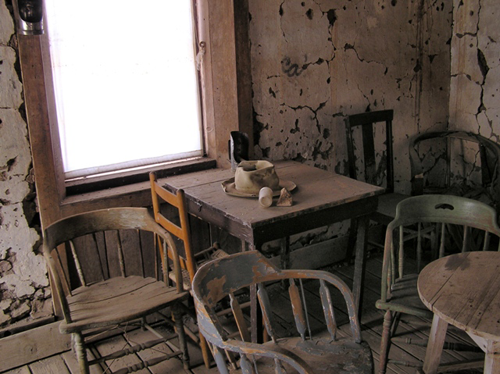 The ghost town is privately owned and can only be toured one weekend during each month or by appointment. Several times a year, living history re-enactments are held at the historic site. Shakespeare is 2 1/2 miles south and west of Lordsburg on NM Hwy 494 from Lordsburg. To get to Shakespeare from Lordsburg take the Main Street exit (EXIT 22) from I-10 and turn South. Follow the signs 2 1/2 MILES on NM Hwy. 494 to reach the Town of Shakespeare.